There are certain threads that run through the work of John O’Donohue. They manifest themselves with different colors and textures. The form may change for different purposes of rhythm and resonance, but the intention remains constant. It is grounded in human vulnerability and the desire, the longing, for a connection to the wonder of the divine in nature, and human life within it. Wonder, imagination and possibility were John’s great concerns, and he articulated them in his own inimitable lyrical style. The rich flow of his language - cadences, rhythms, colloquial flavouring – were a large part of John’s attraction to his radio audience. We will always be grateful for the gift of John’s extraordinary presence, the discipline of his mind, and the wildness of his nature. He forged in the smithy of his soul a beautiful spirituality that is a benefit to Ireland and the contemporary world. As with all writers whose fluency and wisdom is refreshing in its apparent spontaneity, the impression was created by years of patient thinking and reflection. He was a voracious reader; he enquired into everything and had prodigious powers of absorption and expression. It was a huge enjoyment to meet so orderly and creative a mind in such an irrepressible spirit. His priestly vocation called for a full, active presence which he provided in attentive stillness and he had an amazing, graciously energizing lucidity in public speaking and preaching. As a scientist and physician, my own mind was lit up with a spark of connection with John, ignited by our contrasts, and joined by the integration emerging in our mutual interests in exploring the nature of reality. John’s insights into the nature of the invisible world, what he would call the “mystical,” resonated powerfully in new ways with the emerging science on the deep nature of reality—of our brains, our bodies, our minds, and our relationships with people and the planet. John’s work was grounded in contemplative and scholarly study and we discovered it to be consistent with rigorous cutting-edge research. His insights continue to inspire me each day, as they may do for so many, old and new to his life’s work, through John’s powerful presence on the visible page and audible recording, opening a window to awaken us to a deeper, more joyful, and meaningful life filled by the "surprise of its own unfolding." Thank you, John, for being with us, still. No conversation I’ve ever had has been more beloved than this one with the Irish poet and philosopher, John O’Donohue. He insisted on beauty as a human calling. He had a very Celtic, lifelong fascination with the inner human landscape and what he called “the invisible world,” constantly intertwining with what we can know and see. John was an inspired pathfinder and remains a great guide for us all. For a student of Hegel who had written his PhD in German, O'Donohue found it amusing that pop stars and presidents had his book at their bedside, that Hollywood directors and household name actors sought his counsel. It confirmed his view that there is an intersection between philosophy, poetry and theology which can host an audience increasingly exiled by what he called "the frightened functionaries of institutional religion." As an accomplished poet, he had the literary tools and dazzling vocabulary to speak a language that persuaded you he was right. John was an intellectual genius with a rare and profound mystical intuition, able to articulate, both in spoken and written form, like no other, the deepest intimations of the soul and geographies of the invisible. 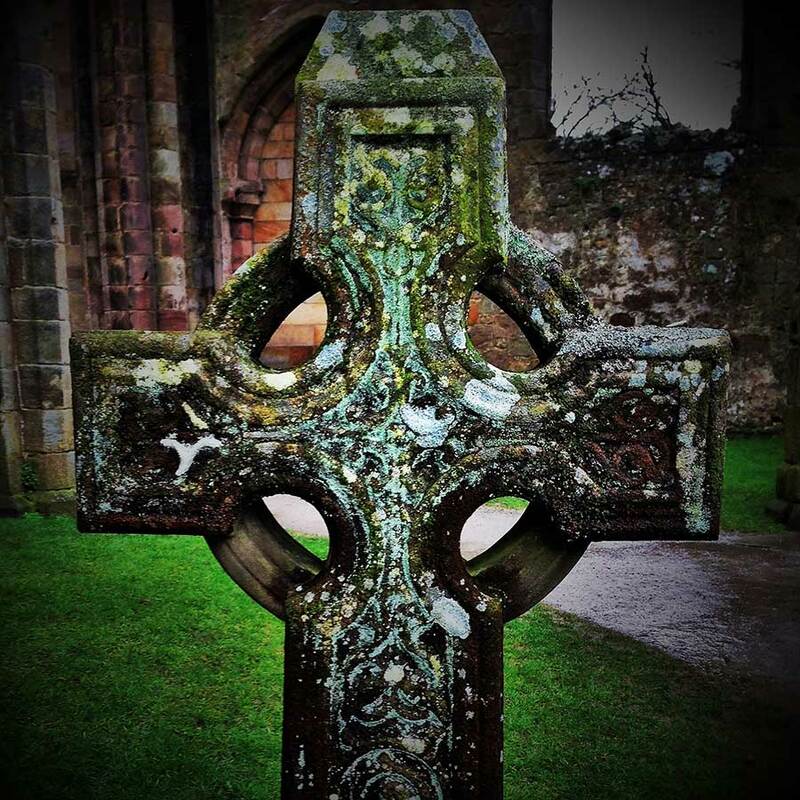 John was not only one of the most articulate voices of living Celtic Christianity and Celtic wisdom, but he also had a clear grasp of the beauty of Christian mysticism as well. He was a trained philosopher with a prodigious intellect. He was the only person I’ve ever met who could effortlessly and lyrically weave together allusions to Martin Heidegger, Meister Eckhart, and the Tuatha Dé Danann in a single sentence.